Is your memorizing vocabulary skill putting you back from speaking French confidently? Would you like learn French vocabulary fast with the strategies that experts use? If yes, then read this article to learn some practical ways of recalling French dictionary quickly. Study French with Audio: Many students struggle with memorizing vocabulary in French. However they can remember French songs easily because everyone knows, learning song is easy than the dictionary. So the first technique to learn French is “study French with audio”. You can find several Audiobooks and Plays Lists online efficiently. You can also record your voice during the practice and can listen that audio later. Choose the right time to focus on memorizing: Time also matters when start learning something new. All time not best to gain and remember new words of French. So you need to select your best learning time. Different individuals learn differently. Some students learn fast in the morning while some in the night. Only you know this fact about yourself. Hence, pick your best time to learn French-speaking quickly. Don’t try to study everything learn the most useful vocabulary first. Once mastered the most important words you can take help of French movies and videos to learn other common words. Latest Software: Today’s’ many software are available on the web that you can use to learn French writing, French-speaking and revise French vocabulary fast. Memrise, Anki, Mosalingua, and SRS are some of the best software that can help you with long-term memorization. These softwares will manage the words for you and invite you to study them just before you start forgetting them. You can use these on your laptop or phone according to your flexibility. Know Your Cognates: This technique is beneficial to start learning French fast. First of all, create a list of French/English cognates (words that sound the same and share the same meaning in both languages). Once you collected and identified some cognates, write them on a piece of paper, and create two columns one for French and one for English. Now quiz them yourself by folding the piece of paper. 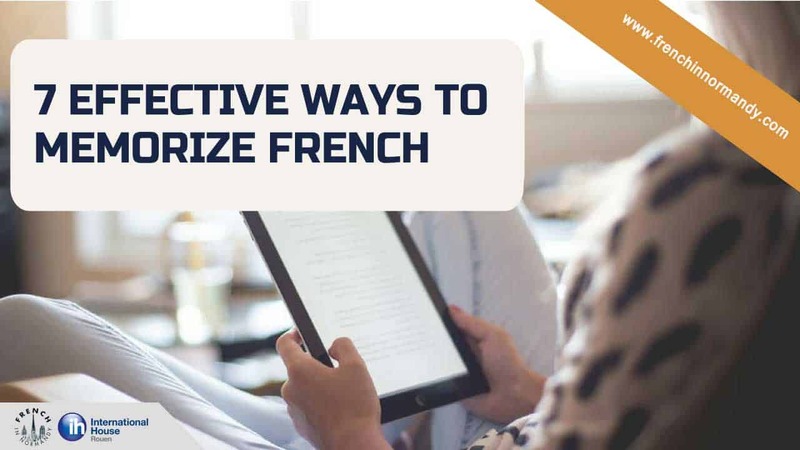 By this method, you will able to memorize French words fast and can remember for a long time. Repetition Is The Key: When it comes to studying French vocabulary fast, consistency and repetition are essential points to consider. When you spend time to learn new French words, your brain will store them in its short term memory. Only the constant repetition will help you to save them in your long term memory. 15 to 20 minutes daily learning is better than 2 hours of continuous study. It will not make you bore with study, and your mind will also have sufficient energy for the repetition of old words. Get to the Roots: This is another useful way of increasing your power of learning French Vocabulary fast. Here is the idea of this technique. Memorize words that share the same root at the same time. Like when learning the French word “écrire” (to write), you can learn “écrivain” (writer) and “l’écrire” (an act of writing). These words are very closely related to root word “écrire.” By this way, you will able to learn not only the words but also their meaning. Create Associations: When learning vocabulary in French, associations can help you memorize new words. Make associations of French words with English words which are familiar to you. For example, the French word “vin” or wine, sounds similar to the English word “van,” So you can create an association between these two similar words.